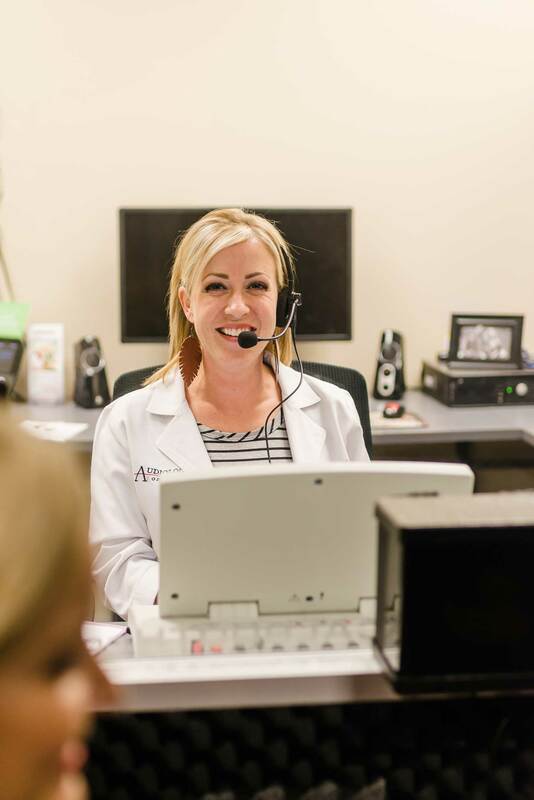 The hearing evaluation is a battery of tests which determines your ability to hear and interpret sound. It all starts with a thorough history, and visual examination of the ear canal and eardrum. We can perform this test at all three of our locations. 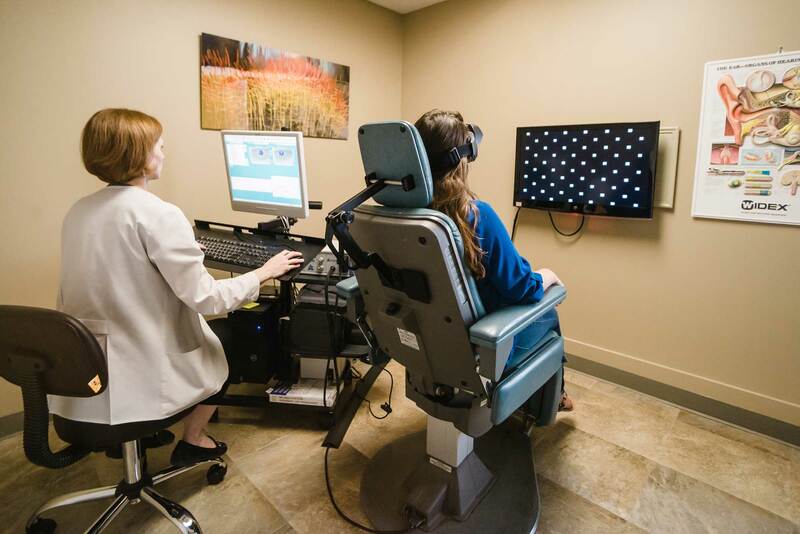 A Video Electronystagmogram (VNG) is the most common audiological test ordered for individuals complaining of dizziness or vertigo. This test records and measures voluntary and involuntary eye movements (the vestibular ocular reflex), specifically nystagmus. Nystagmus is an involuntary back and forth jerking movement of the eyes that occurs when the entire balance system is stimulated. This test is done at the Lang Medical Building. To read more about this testing, click here. Auditory brainstem response (ABR) is a diagnostic test which is similar to an elctroencephalogram (EEG). This procedure involves the use of clicking sounds to stimulate the auditory nerve, which produces an electical response. 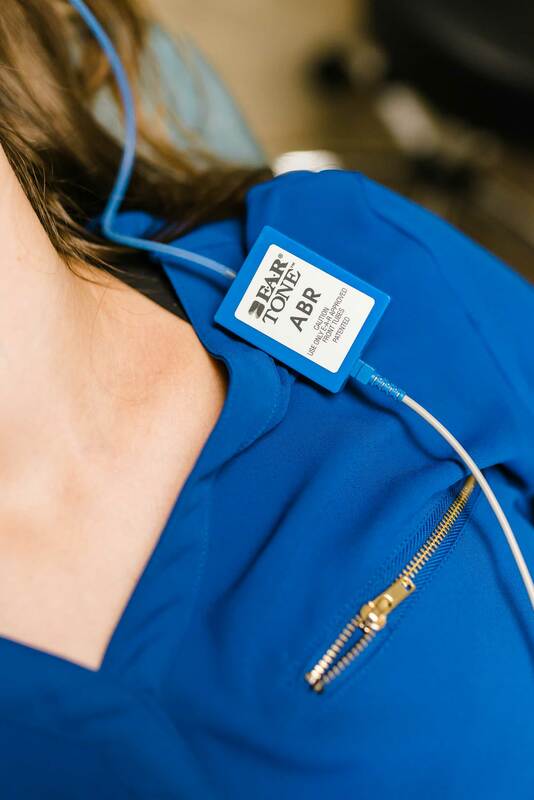 Electrodes placed on the patient's face and ears pick up the electical activity of the nerve, and a computer displays the results for the audiologist to interpret. Also known as BERA, BAER. This test is done at the Lang Medical Building. To read more about the ABR, click here.